Opposition Spokesman on Local Government, Desmond McKenzie, is calling for the immediate suspension of normal administrative operations at the Hanover Parish Council in light of the egregious breakdown in accountability and financial integrity, which has resulted in the Contractor General taking interest in the entity once again. Opposition Spokesman on Science, ICT & Digital Society Development, Dr. Andrew Wheatley, says he has taken note of recent announcements by Health Minister, Dr. Fenton Ferguson, and is again calling on the Government to accelerate legislation regarding Data Protection and Privacy. Leader of the Opposition, Mr. Andrew Holness and Caretaker for East Rural St. Andrew, Senator Alexander Williams, speaking yesterday during a tour of fire threatened communities in the Caretaker's constituency, stated that the Fire Department needed water, better access to the communities and the right equipment, to thwart the recent fires in Mavis Bank and adjoining communities. Opposition Spokesman on Foreign Affairs & Foreign Trade, Ed Bartlett, is criticizing the Government for its failure to include the Parliamentary Opposition in the planning and organization of the 6th Bienniel Jamaica Diaspora Conference to be held in June at the Montego Bay Convention Centre. 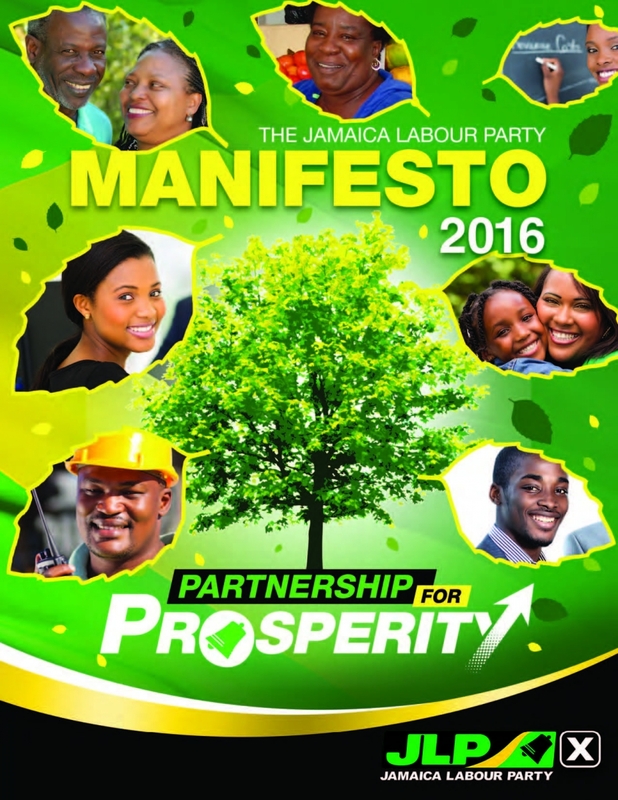 The Jamaica Labour Party has today confirmed that its Selection Committee has approved three applicants to seek the support to become the candidate for West Central St. Catherine. They are Councillor Devon Wint, Mr. Kent Gammon and Dr. Christopher Tufton. Opposition Spokesman on Foreign Affairs & Foreign Trade, Mr. Edmund Bartlett, is expressing disappointment at the failed Free-Trade Agreement negotiations between CARICOM and Canada which, he says, could have paved the way for significantly enhanced trade and investment flows, especially as it relates to trade-in-services. Opposition Spokesman on National Security, Mr. Derrick Smith, says the announced increases in fees for processing passport applications are exorbitant and unconscionable, given the economic hardships Jamaicans are having to endure at this time. Shadow Minister on Mining and Energy, Senator Robert Montague, is calling for full disclosure on issues surrounding mining in the Cockpit Country, following allegations of mining in the protected area.